Competitions are open to residents of Great Britain only. Employees of Radio Exe, their families, agencies, or anyone else directly connected with the competition are not eligible to enter. You may only enter a competition as an individual; any entries that, in the Radio Exe view, have been made via a syndicate will be disqualified. Also, any entries made via any sort of software or machine enabling multiple entries will be disqualified. Radio Exe reserves the right to discount multiple entries from the same IP address or telephone number, unless stated that multiple entries are permitted during a specific competition. Source material utilised by our question compilers will be taken as correct. The decision of the Radio Exe judges is final and no correspondence will be entered into. Callers are not necessarily entitled to participate in the on-air competition and will not necessarily appear on-air in the order in which they are called. Radio Exe is not obliged to reimburse callers for telephone charges. A person may not win more than one prize valued at £100 or greater within a six month period following their first win, or one prize valued between £25 to £99 within a three month period, nor shall any member of such person's family residing at the same address (including, but not limited to, sons, daughters, partners, aunts, uncles, grandparents etc.) Radio Exe reserves the right to withhold prizes from any person who has broken this rule. Where it is stated that a competition is open to over 18's only, you represent and warrant that you are at least 18 years of age on the closing date for entries. If requested, proof of eligibility or age must be provided to Radio Exe on request. You must enter all competitions using your legal name only. 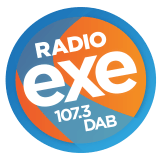 Radio Exe reserves the right to disqualify anyone entering a competition using a false name or providing false information. Entries will become the property of Radio Exe and will not be returned. Entry into the competition is free, (apart from text or call costs which Radio Exe does not pay) and Lottery and Gaming regulations do not apply. No liability will be accepted on the part of Radio Exe, its co-promoters or agents for any loss, illness or injury resulting directly or otherwise from participation in any competition or promotion. Entrants into the promotion have no claim whatsoever to any intellectual or other property connected to any promotion, which remains in the sole ownership of Radio Exe. No promotional activity with any 3rdparty can be undertaken by any participant, before or after the promotion, without the express written consent of Radio Exe. Entrants may be required to take part in future promotional activity exclusively for Radio Exe before/during and/or after the promotion in connection with the promotion. Radio Exe will not be liable in the event of telephone or text message entries which are not received as a result of network incompatibility, technical faults, bad spelling or otherwise. Text messaging or call charges incurred as a result of entry to a competition will be paid for by your mobile phone service provider and will be detailed, on your mobile phone bill. Permission of the person who pays the bill is always required before sending a text message or telephoning the competition line. In the event that a telephone call for a competition is disconnected or unanswered for any reason before or during the competition, Radio Exe reserves the right to select another entrant. Radio Exe reserves the right to amend these Terms and Conditions without notification. Acceptance of these Terms and Conditions also apply to any subsequent revision, whether notified or not.